A Diversity & Inclusion Council and other similar employee groups are widely used mechanisms for creating organizational change and help provide focus to D&I initiatives. They have an opportunity to influence organizational culture. D&I Councils are typically made up of leaders who are influential, well respected and have the connections and ability to get things done. They ensure that the D&I strategy is aligned to the core organizational objectives. The proof of the ROI and the benefits of D&I is an on-going challenge. Diversity and Inclusion Councils and other associate groups are tasked with creating the D&I Strategy that will have measurable outcomes. To be effective, the first step is to understand the organization’s current culture. Before selecting an assessment tool, it is important to understand what the organization wants and needs to know. Many organizations embed culture questions into existing employee engagement surveys. However, to truly measure the organizational culture related to D&I, it is important to have an instrument that focuses specifically on D&I. The Spectra Diversity and Inclusion Profile™ provides a snapshot of what the organization and everyone may need to focus on to create a culture of respect and inclusion. The organization had a strong focus on Diversity and Inclusion (D&I) for the past five years. A D&I Executive Steering Committee comprised of senior leaders and a D&I Council was in place. Ongoing D&I education was offered to all employees. Due to other competing priorities, D&I became less of a strategic priority and the D&I Executive Steering Committee disbanded. While the D&I Council remained intact, they lost support, had little influence and offered no real D&I initiatives. 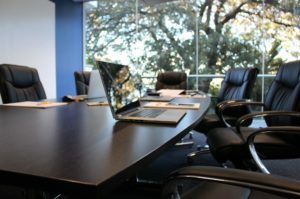 With a change of CEO and a new VP of Human Resources (HR), there was a renewed commitment to D&I. Based on previous experience, the CEO realized the importance of not only having a diverse workforce but the necessity of having a culture of inclusion. Given the organization was going through a culture change, it was a perfect time to position D&I as part of the change efforts. With the support of the new VP of HR, the D&I Council expanded membership and recruited senior leaders to serve as an advisory board. A formal charter was created and five D&I Council Sub-Committees were formed, each focusing on an important D&I initiative. An organization that recognizes how D&I directly impacts employee engagement and innovation shows a forward thinking, inclusive organization. It is always best to “begin with the end in mind.” Gaining a clear picture of the current culture provides a snapshot and baseline which can be used to measure future progress. Using a validated assessment tool, like the Spectra Diversity and Inclusion Profile™, provides a clear picture of the organization’s D&I strengths and challenges. Because of the unique feature of assessing organizational culture and individual competencies, it offers developmental opportunities for both the organization and individual to become more inclusive and culturally competent. Today there is much more focus on measuring the impact of D&I to demonstrate the business case. While more companies are measuring D&I, it’s important to remember that it’s not a “one size fits all” approach. Organizations will approach measurement of D&I in different ways and at their own pace. 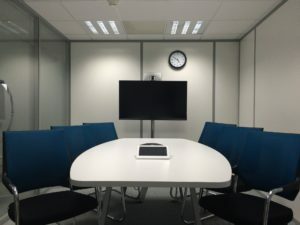 It may begin with something as simple as measuring D&I training or the impact of Diversity and Inclusion Councils, ERGs and other associate groups. With more evidence of the impact D&I has on organizational business objectives and outcomes, the more leaders will support and buy-in to D&I. Align the diversity and inclusion strategy and metrics with the organization’s business goals and outcome. All other core practices will flow. Diversity and inclusion metrics should be aligned with the most critical organizational goals. Engagement is metric best-practice organizations use. They know what drives employees are engaged and deliver excellent work. Conduct a cultural assessment to establish a baseline and/or external benchmark data before launching a diversity and inclusion initiative. Link diversity and inclusion measurement with the current management dashboard. Conduct a root-cause analysis to define successful solutions. Assure employees understand behavioral expectations and continue to monitor and support. Continue to monitor compliance goals and requirements and look for other sources of measuring diversity and inclusion success. Use inclusion to implement management practices to achieve substantial business goals are obtained.  For information about how the Spectra Diversity and Inclusion Profile could work for you, please contact Spectra Diversity Partner Patricia Jesperson.